Disney faces some obstacles in becoming a global video-streaming player, an RBC analyst says. One of the biggest overhangs is Disney’s 21st Century Fox bid, which is facing some challenges from regulatory authorities and competitors. 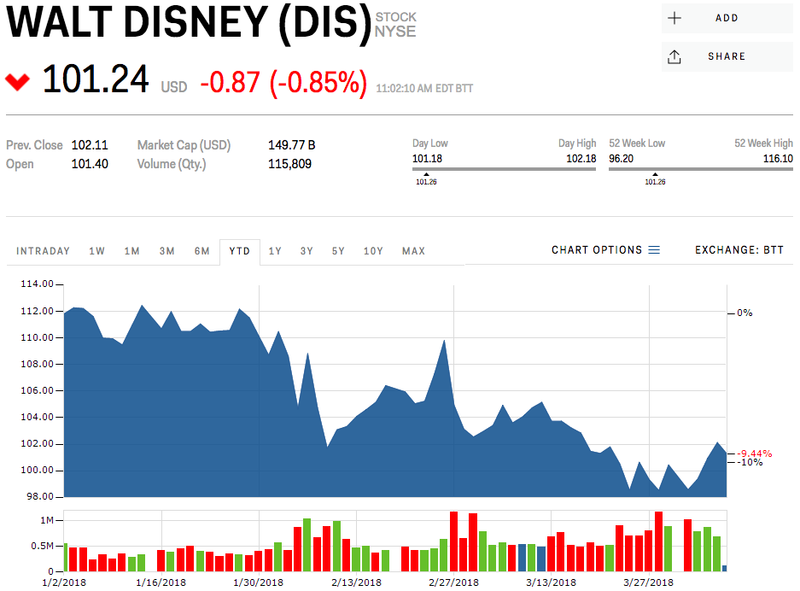 Watch Disney’s stock price in real time here. Disney‘s path to becoming ‘a global player in streaming’ is in sight, but the media and entertainment giant will need to surpass some significant hurdles to get there.